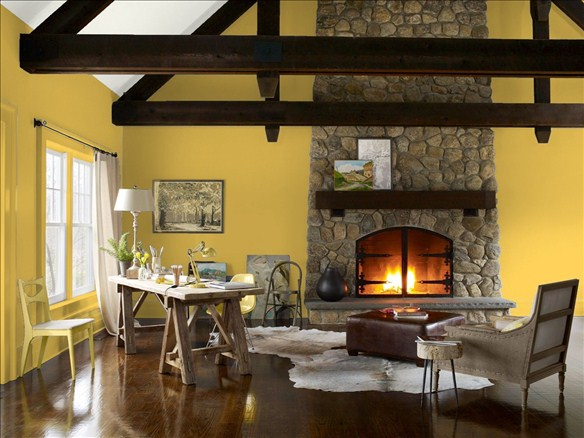 What paint color would you never put in your home? Never is a really long time but after reading this post, you may reconsider. First on my list is the M color and that would be Mauve. I bet you just made an ugly face just thinking about this color but think again. It can be really nice in the home. 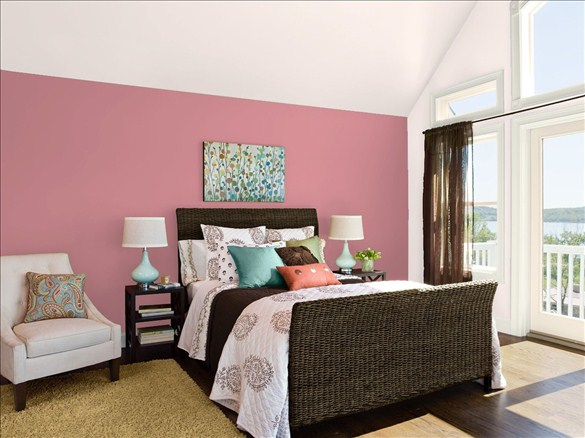 This Benjamin Moore room is painted in Toasted Mauve 1279. See! You can’t tell me that this looks horrible right? I would certainly add some coordinating curtains and bedding but as far as an accent color, this Mauve is certainly doable. Second. Ready for another color? How about Gold? I know! It’s dated right? Or is it? Now look at this photo. It’s a “Design Your Own Room” scene from the Benjamin Moore. Don’t like it? What is it that you don’t like about this room? Is it the color or the decor? For me, it’s the decor and I wish BM would update their room schemes to better accommodate their fabulous colors. Love the fireplace and beams but the table, art, chair and dead animal rug really ruin the color for me. Unfortunately, it makes the gold look bad. Now if I crop it – doesn’t look too bad now right? Looks very cozy actually. Forth – Brown. What do people have against earth tones? I have a brown accent wall in my bathroom (that’s right – no blue!) and it is gorgeous! It’s a strong color, masculine yet classy and you’d be surprised at how many colors will look great with this neutral – yes I called brown a neutral. Fifth and last – Rust. It was even hard to type that word because it gave me a flash back to the 70’s when my parents had a rust rug – it was not a good look. See how memories can mess up perfectly good colors? And this brings me to the point of this post. Just because a color has had a bad reputation over the years doesn’t mean you can’t give it new life. 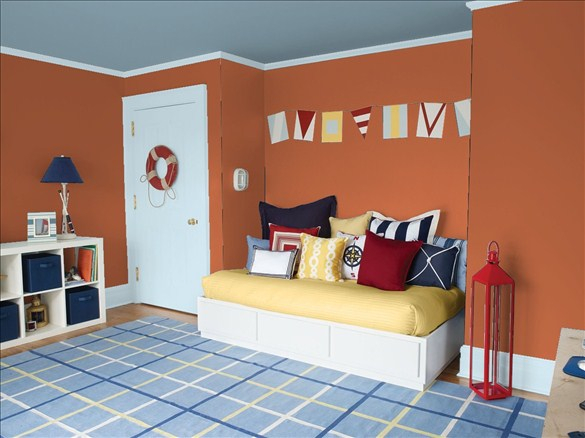 Look at this kids room – it’s a rust wall with a blue ceiling. That’s different don’t you think? I think it looks great and the beauty of color is being able to use it in any manner you want to. 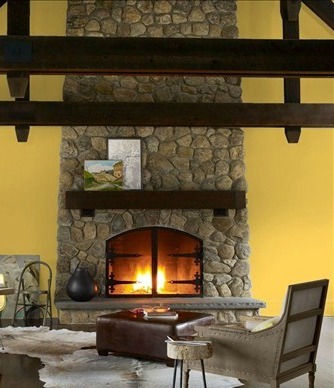 Explore your color options and don’t NOT use a color just because you didn’t like it in the past. 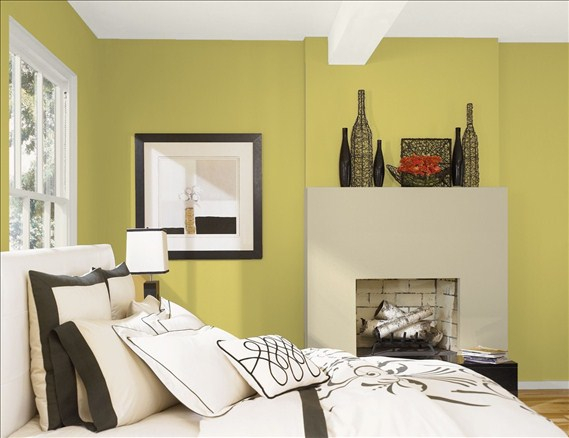 The key here is to make sure your decor compliments your wall color unlike these dated Benjamin Moore room scenes. Think about dark wood flooring, new furniture and area rugs that add interest and color to the room. Get rid of your hand-me-down furniture and make each room your own starting with a unique color palette. 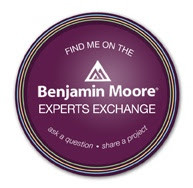 If you need help, email me and we can start a virtual consultation. This entry was posted in Bedroom Colors, Color Ideas, Color Tips, decor, Design and tagged brown, gold, green, mauve, paint colors, rust. Bookmark the permalink. Yellow-green! But I just painted a sample board that is a pale greyed-down version of it. I’m thinking it’s not greyed down enough but giving it a try. Tell me the name of the color – I’d like to see it. Hi Cheryl – the interesting about the mauve-pink is that it’s one of those colors that you don’t realize you like until it’s on the wall. I was definitely NOT a fan of pink at all until I painted it in my office. I wanted to choose a color that was out of my comfort zone and see how I liked it. Why I did that I have not idea – what if I hated the color? Yup – would have been in trouble. Anyway, I love my pink office and it actually it’s more of a purple pink instead of a creamy pink. Strange choice for me but I love it.